Our INSIDER houseboat magazine, it's delivered monthly, directly to your inbox for free. Created BY houseboaters, FOR houseboaters. Join our houseboat magazine now and get yourself the INSIDER facts. Take full advantage of our free online Houseboat Magazine as it's created for new, curious, beginner, and experienced houseboaters. 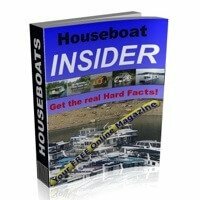 Is our Houseboat Magazine for you? You want a simple way to stay updated with the hottest topics? You want the real hard facts, and houseboating tips for free? With your hectic schedule, it's delivered directly to your Inbox. Our Insider newsletter is filled with articles, and no advertising. Join, and you'll get our Houseboat Pre-Visit Checklist for free. Did you answer YES to any of the questions above, than you'll surely agree the INSIDER is the perfect houseboat magazine for you! It's EASY and FREE, so sign up here! I promise to use it only to send you The Houseboat Insider. After subscribing you'll receive 2 emails. The 1st one, is a confirmation email to confirm your email address. The 2nd one, is shortly afterwards with a link to our Back Issues. BONUS: you'll get our free Houseboat Pre-Visit Checklist. We hope you enjoy the magazine as much as we enjoy creating it. 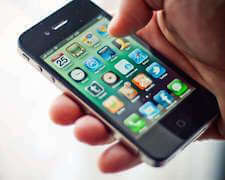 Of our 2,000 daily visitors, we can see that mobile traffic has grown exponentially in the last 5 years. You still haven't signed up? why you should get it. You will receive our free Houseboat Pre-Visit Checklist. Stay updated with tips, articles, reviews and discounts. NO SPAM guaranteed, and you can even cancel anytime. Have the Houseboat Insider delivered directly to your INBOX. Have access to "exclusive discounts" only available to readers. The "Woman's Corner" is geared towards our female readers. It will quickly become your #1 favorite Houseboat Magazine! You want to subscribe, it's quick, easy, and is totally FREE. Our way to say Thank You for subscribing, we want you to have our unique Checklist. 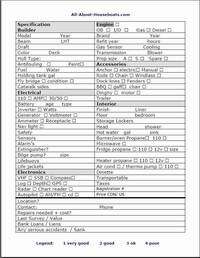 The Checklist is designed to help you with all the details, equipment, and all information about the potential houseboats you visit. So don't wait, signup now! Return to All about Houseboats from the Insider Houseboat Magazine.